Read about the features of Explode the Code. Supplement any reading program or teach reading if you are familiar with phonics. We had phonics experience and worked one-on-one with each child to learn to read with Explode the Code workbooks. 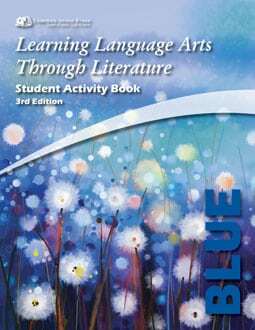 Or if you know which sounds the student needs to learn, then you can look at the list of sounds covered in each book to choose the best level. Choose the easier level if the results are close. Success breeds success. When a student is struggling with a subject, there is nothing like doing it successfully. Doing an easier level at first is also a good way to learn how the workbooks are formatted and get used to it. There’s a reason the pictures are goofy and look as if a child drew them. No guessing what the picture is about! Your student has to read to answer correctly. As you work one-on-one with your child on each page, you can teach, reinforce, and praise your child’s handwriting, spelling, and reading skills. For the child who likes to learn with flash cards, Code Cards are available. For the child who needs more practice and review, the ½ level workbooks are available. 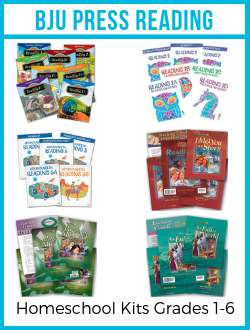 The Explode the Code® Phonics Workbooks are available separately or in bundles. 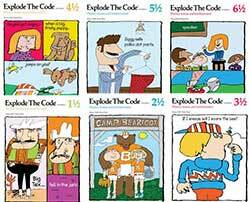 According to the publisher’s website, Explode the Code Phonics Workbooks aligns to the Common Core State Standards. Before your student starts in Explode the Code Books 1 to 8, he should know the consonants and their sounds. 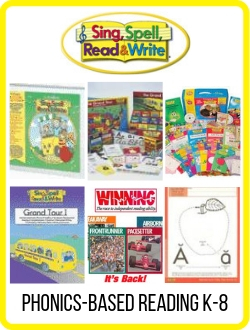 These are taught in Get Ready Get Set and Go for the Code Workbooks A to C.
The Code Cards have word pictures and letters for Books 1 to 3, including the 1/2 levels, are index card size in black and white.